Oh my god we have had some long days but also some epic moments with clients with some amazing fish. I have been out a hell of a lot over the past month and seen all types of fishing in some very challenging, stunning, majestic rivers. 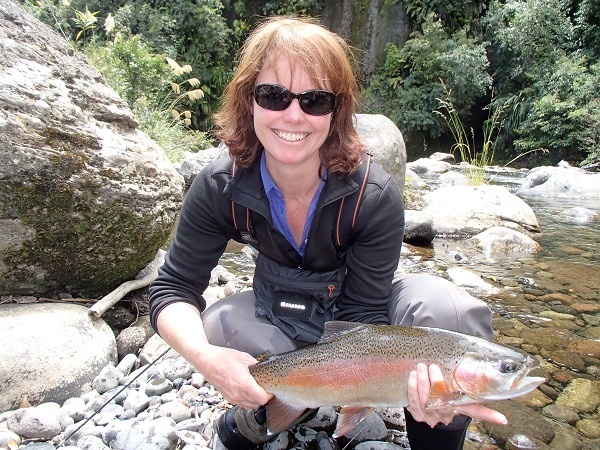 All methods of catching trout are working now depending on where you are spending your time. 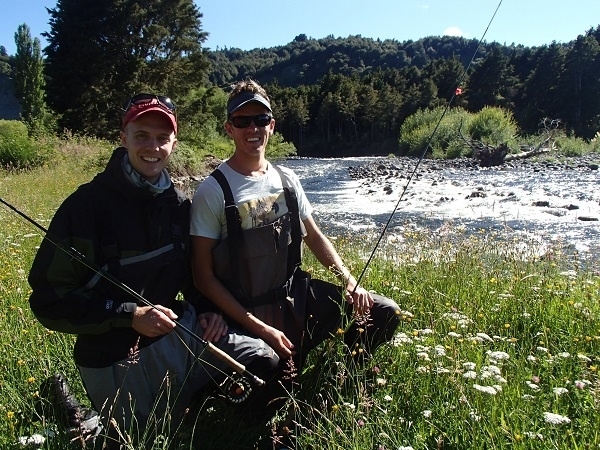 The best fishing by far has been the backcountry followed by the Tongariro river in the Taupo region. 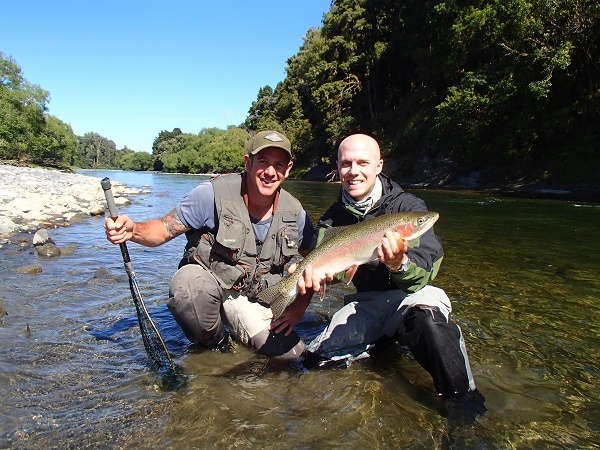 Lake Taupo has been getting a flogging by the boaties over the holiday period but this has not slowed their results with some beauties been landed while jigging. Fly fisherman will be in for another very good winter season from what I can see on the lake. 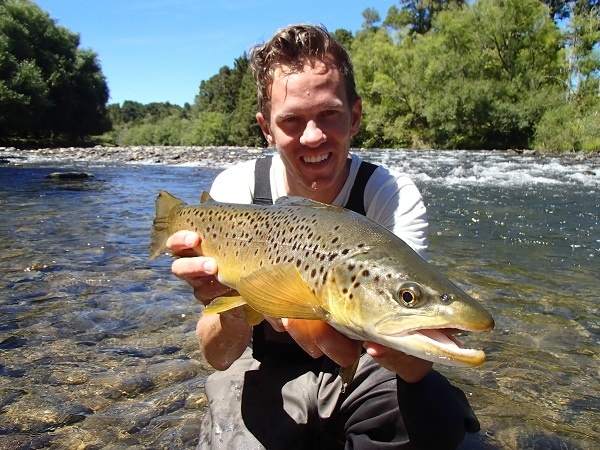 Early morning harling has been great in the 20 feet mark and the odd brown has been getting caught along the Waitahanui straight. Jigging most of the day between 70 and 130 feet ahs been scoring a lot of solid fish. Best flies are Silicon smelt, Jack Spratt’s and Ginger Mick’s. 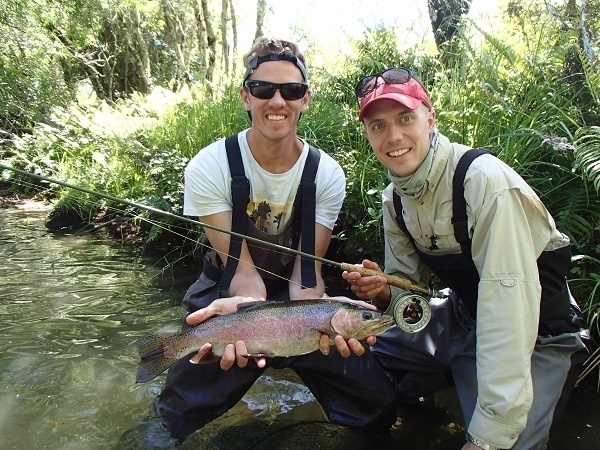 The Tongariro has been ok with fish in most middle to lower pools. There are basically no anglers currently and most of your favourite pools will be available to fish as you wish. 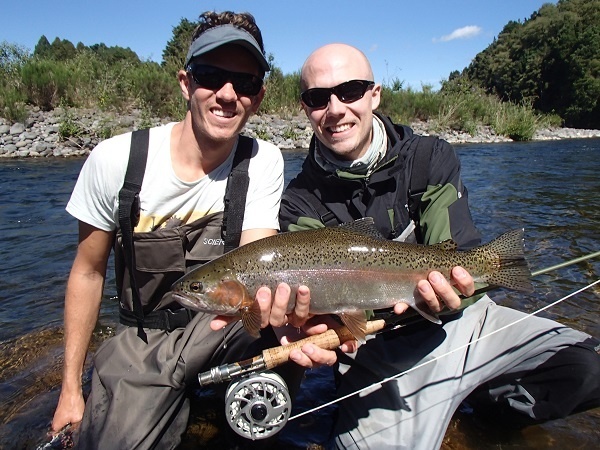 Rainbows are in most of the fast water feeding quite well and you will find small juvenile trout mixed right through. I have where I see fit been using a dry dropper combo and this has been a nice change from the traditional nymph rig. Dry fly will account for a few trout during the day but in general they are still grabbing the trailing nymph below. Dry fly in the evenings have been going nuts as long as the wind doesn’t get up and destroy the hatch or cool temperatures down. Brown trout seem to be scattered through most of the river. Various websites report seeing or hooking these fish and today we caught the first two for my guiding brown trout season. One fish was just short of 3 lb and like a football the other was just over 7lb and will be a good breeding fish for the future with solid shoulders, big tail and pretty spots. I love this time of year when the opportunity of a big brown may come up, seems one has been caught this season already which is great. As I mentioned before the best fishing I have seen has been in the backcountry where we have used quad bikes and a lot of footwork to get to some pretty special places. Skilled fisherman, athletic bodies and a sense of adventure really helps when trying to tackle the backcountry fish and thankfully I have been blessed with these perfect clients. The smaller headwater streams have been exciting with plenty of fish now rising well to Cicada type patterns and slurping Para Adam’s from back eddies. Small natural nymphs will always get the attention of any mid water trout feeding and if the dry doesn’t catch them the nymph surely will if it is presented well. I have seen browns up to 5lb caught and some really nice rainbows of similar size but once again the best fish are the maiden trout which are about 2-3 lb. Sometimes you just need to think outside the square. One of the best days I have had in the backcountry this season was had only just last week with Joe and Matty from the US fishing very public water. Public water is quite often a little beaten up after Christmas and New Year period but prior to it was very , very good. I must admit we walked a lot of water and these guys were fantastic little fishermanÂ and they managed to get 26 fish between them varying between 1-5 lbs- browns and rainbows. The backcountry rivers are in perfect condition with water levels being very low which is just perfect . Low conditions mean stealth, smart fishing with nice casting and good choices this can all be achieved with a little know how from the right people. Please release your backcountry fish you will see the benefits. I hope you all had great Christmas’s and the New Year will see you in the outdoors with family and friends somewhere in our wonderful country. If I can help with some guiding please make contact and lets get out there, plenty of new water to explore.